A little over a week in Istanbul and I'm in love already. It is proud yet humble. Old yet live and full on energy. Like a wave you caught and can’t jump off. There is no way to get enough. My Istanbul is yet little, but each and every piece of it is precious as it lets you feel some more of this city in a very special way. Not many big names, but these you’ll find without me. Kadykoy market is on the Asian side. Unlike the Spice bazaar (Egyptian bazaar) it is not frequented by tourists, but is favored by locals. It is great to tour around and see how clean and beautifully organized are all the shops from fish to meat to veggies to dry ingredients (spices, grains, dry fruits) to pastry to Turkish delight. How proud and hospitable the shop keepers are. 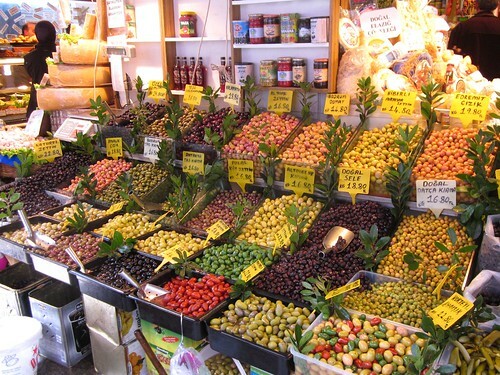 The market is the place for take home shopping. Definitely Turkish delight (it's worth getting it from artisan shop and tasting before you buy). Baklava (it's better in Istanbul than anything I tried in Moscow), but take into account that it shouldn't be stored longer than three days. For cooking at home I also got some of the local spices: sumac, isot pepper / urfa biber, zatar (wild oregano, not the spice blend) and nigella seeds, locally made tomato paste/domates salçası and similar sweet red pepper paste/biber salçası (both are of incredible quality in Istanbul, way better than anything I tried elsewhere) and pomegranate molasses/nar ekşisi (fascinating sweet and sour ingredient for many kinds of cold mezes). I also couldn't help getting six of these Turkish/Moroccan tea glasses, here they are available in every supermarket almost for free. The shop is inside Kadiköy market. It's not such a big name, but they make one of the best baklava in Istanbul. It's extremely fresh and unbelievably good. 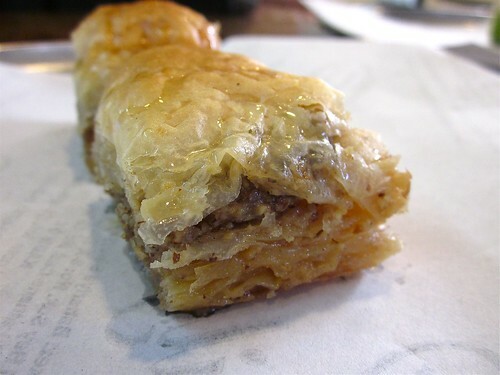 They have walnut baklava and pistachio baklava (both worth trying). Like most baklava shops they also have kadayif (noodle like pastry layered with nuts and soaked in syrup) and tulumba (syrup soaked doughnuts). If not sure what to get, sit down for a taste inside. Once you are decided, they will pack what you point into lovely boxes, weight and tell you the price. Breakfast overall is a big thing in Istanbul and the cornerstone for it is kaymak (local dairy product tasting like clotted cream made in heaven). This tiny place in Beşiktaş is famous for their kaymak. The founder is now 85 and he is yet inside the shop, serving clients himself. 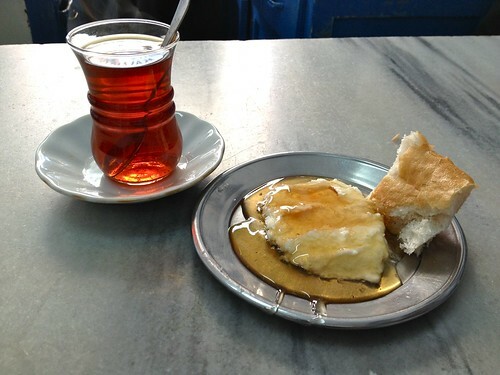 They pour light and flowery honey over kaymak and serve it with freshly baked bread and Turkish tea. 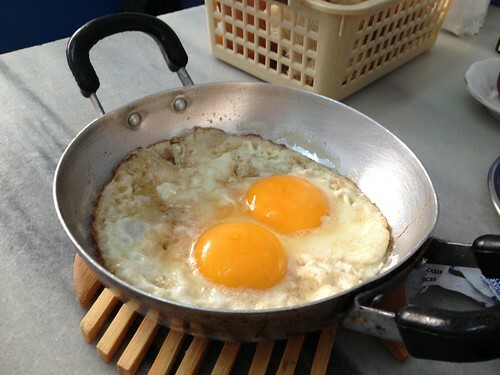 This is already enough for perfect happiness, but do also try their fried eggs (farmer's eggs, cooked in butter). It is tricky to find, but the location is depicted quite accurately here. 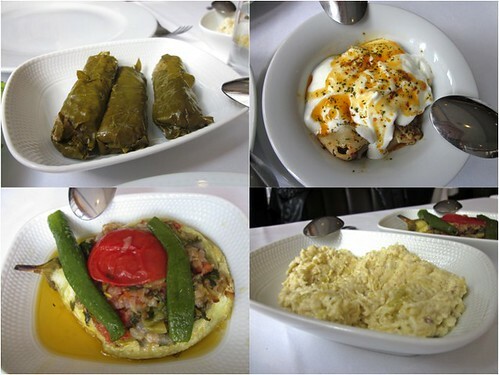 Meze by Lemon Tree is one of those new places taking a modern view on traditional Turkish food. Our whole meal there was lovely, but the meze were just incredible. As far as I can say they were all with a modern twist. E.g. one was fried eggplants under some kind of cream cheese and sweet tomato topping. Another was charred peppers with caramelized onions, walnuts and tahini dressing. I believe the menu changes often, but English speaking waiters are there ready to explain to you what's available in detail. Once you enjoyed the starters properly, if you still do have space, there are great mains (we tried monk fish and meat balls), and there are desserts which we didn't manage to try. For me that was the strongest meat impression of the whole trip. 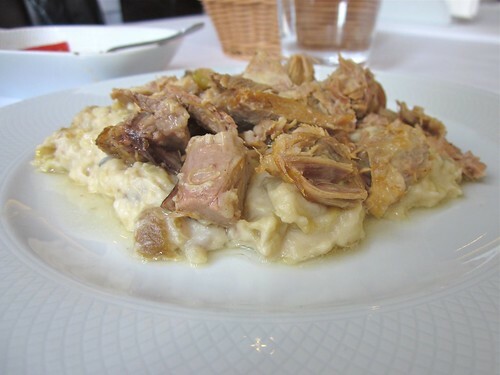 The speciality dish is Hünkar Beğendi - strongly tasting lamb is melting in your mouth over rich and smoky eggplant mash. Each is great on its own, but together they make a perfection. Hünkar Beğendi is a must, but there is much more to try. From their cold meze I really liked eggplant salad (acili ezme) and vegetarian dolma (zeytinyagli dolma). Menti (tiny meat stuffed hot dumplings served under yogurt) are extremely good too. 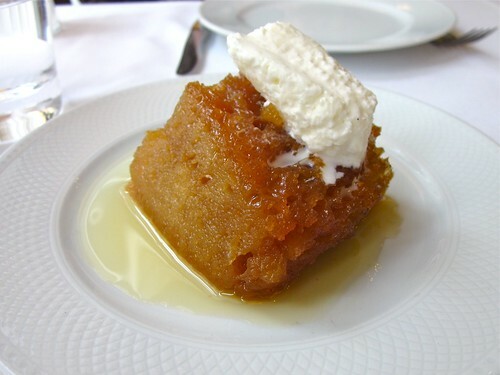 I'm not big on desserts after meat, but in Hünkar I'd definitely try their syrup soaked cake topped with kaymak (kaymakli ekmek kadayifi) and semolina halvah (irmik helvasi). The place is next to Kadiköy market and has been there for generations. 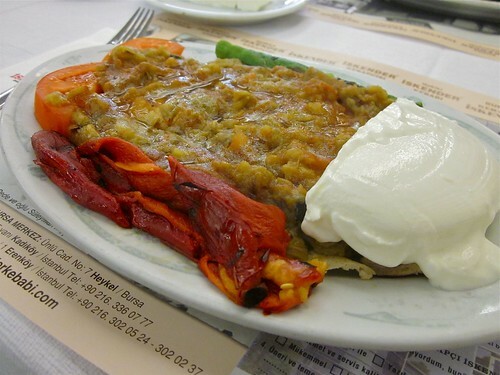 The main and only dish they serve is Iskender Kebap. You can ask for yogurt on the side (please do!) and roasted eggplant salad to complement it. They set you piping hot kebap in front of you and pour melted butter over it. Lots of butter! So while you eat it you know why it tastes so damn amazing. You feel guilty but you can't stop eating and this makes it taste even better. 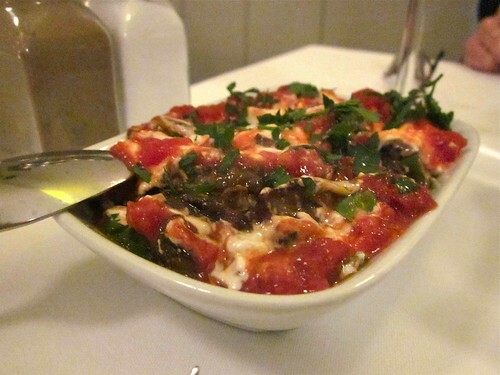 Interestingly enough this one dish place does offer a vegetarian version of their Iskender kebap. You have to ask for it as it is mentioned neither in the menu nor on the website. 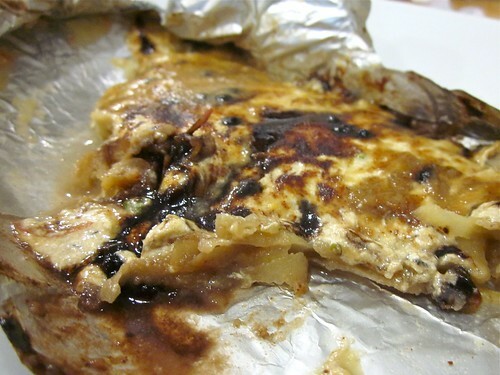 And it is so incredible, made of eggplant mostly, with charred peppers, over soft warm bread. Can be tricky to find, but the location is depicted accurately here. The place is 5 minutes away from Kadiköy market (Rıhtım Cad. Teyareci Sami Sk. no. 20/1 Kadıköy - Lane behind Murat Muhallebicisi). They shop for fresh fish in the market daily and cook it (very simply, but with great skill). You look and the fish counter, pick the fish you'd like to have (if you are looking to try some specific fish, it makes sense to google and write down its Turkish name beforehand), sit down and relax. First you get some bread and a complement - two meze dips (one spicy tomato and the other mild eggplant) which go perfectly together. In something like 10 minutes your fish will be ready and served to you with lemon and leafy salad. We went for fresh anchovy/hamsi (they were in season at the time of our visit). 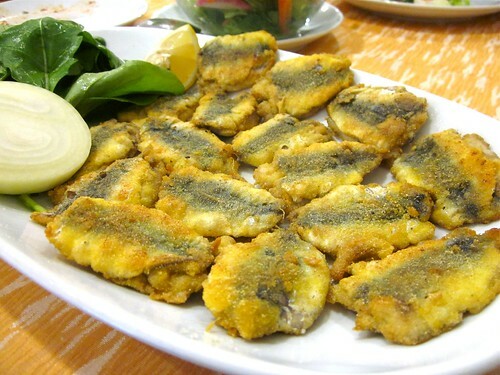 They tasted great (dusted with semolina or fine cornflour and gently fried). After the fish it makes sense to try sicak helva - special dessert preferred after the fish in Istanbul, made of ground halvah mixed with cream and baked. When I asked for it at Baliksi Locantasi it looked like it wasn't on their regular offer, but they still made it for us. Some special heavenly version of it baked over grated apple and mixed with chocolate buttons and pistachios. The whole lunch for two cost us 35 TL = below 20 euros. Besides that, I’d definitely have kunefe dessert (is really good e.g. at Akdeniz Hatay Sofrasi), Turkish coffee (great guide to it here) and ayran (is great on its own and goes well with meat and vegetable dishes). I did a lot of reading before my trip and it helped a lot to pick places I wanted to visit. Then I went for the cooking class. Olga is great and passionate about what she is doing. We started from a trip to Kadiköy market on the Asian side. Visited Olga's fishmonger, artisan Turkish delight shop, baklava shop, pickles, dry ingredients and spices shops, sat down for a cup of Turkish coffee and then headed to Olga's home for the cooking class. We prepared three lovely starters (chard fritters, sundried tomato salad and rocket salad), fish main course and incredibly tasting dessert of dry apricots, walnuts and kaymak. I really liked visiting hamam. It is worth it if you are at all into bathing. 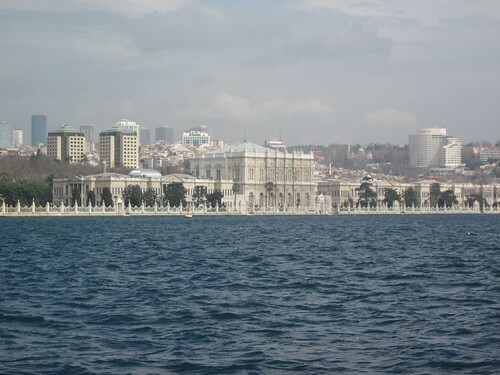 I went to Ağa Hamamı – it is a humble one, next to Taxim square. Comfortable and affordable (bath plus scrub and soap massage cost 40TL = around 20 euros). The city has many more baths though and here is a useful guide to pick the one suitable to you. I couldn’t miss nargile smoking too. Good guide for places to smoke and etiquette is here. As of yet this is my favourite post of yours! It's been a long time since I was last in Istanbul, visitng family on my mother's side, & I really enjoyed seeing old places that were new to you & how they have changed in the years.